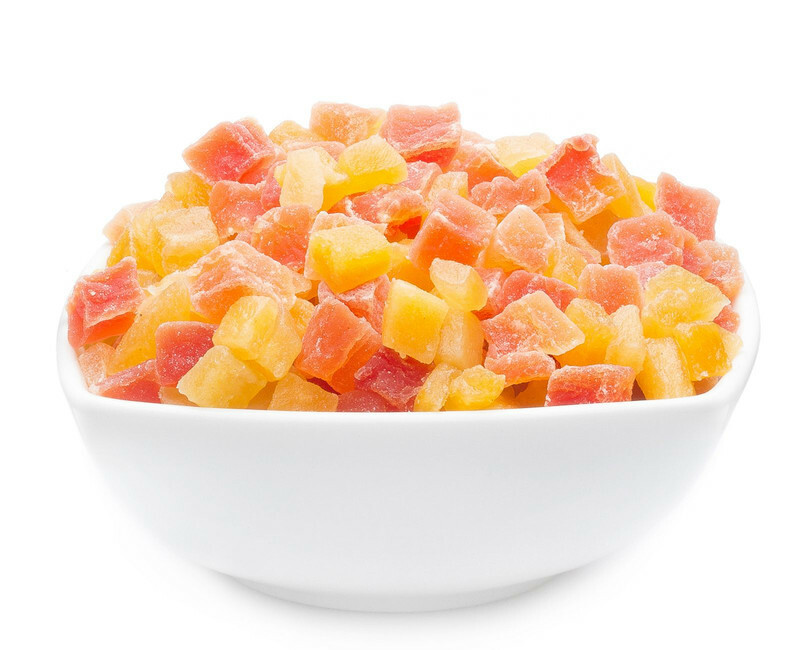 According to ancient tradition, the Egyptians already candied fruit in order to make them non-perishable. What a great job they did! Papayas we have thanks to Mexico, that's where they were first cultivated - mangos originally come from India. So enjoying these fruits you practically go on a world trip - we wish you a pleasant journey! Sweet variety. Mango & papaya for everyone! These candied fruits are truly universal geniuses. You can eat them raw, of course, or chuck them into your favourite breakfast cereal or muesli, but please only in case of emergency! OK, that case can happen anytime, but every fruit salad would be happy to be joined by candied mangos and papayas, just as a savoury smoothie would. Or did you already try a spicy curry dish with our sweet fruit? Incomparable!